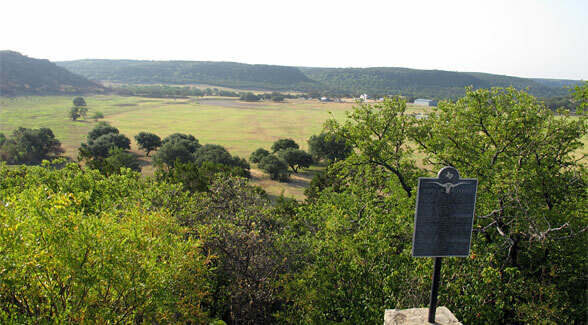 There’s a lot of ground to cover in the July edition of The Land Report newsletter: auctions, equities, timberland, and several political developments affecting landowners, ranging from the passage of key legislation by the Texas Legislature to the appointment of Dan Ashe to head the federal agency that many landowners know on a firsthand basis, the U.S. Fish and Wildlife Service. 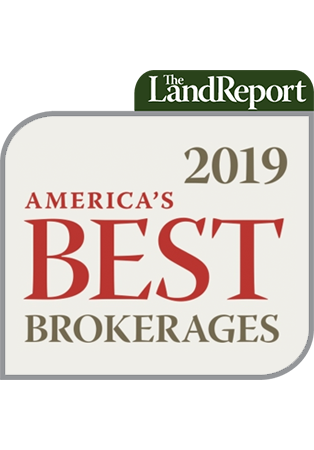 From a research standpoint, a new frontrunner has emerged atop The Land Report Top Ten, which features the country’s leading investment quality land listings. Count on The Magazine of the American Landowner to follow the $100 million listing of Wyoming’s Walton Ranch by Ranch Marketing Associates in the months ahead. 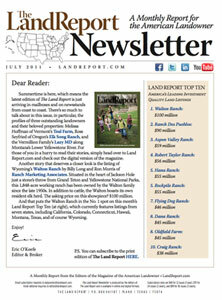 For more up to the minute reports on listings, sales, and countless other stories pertaining to land and landowners, be sure to follow The Magazine of the American Landowner on Facebook and Twitter.